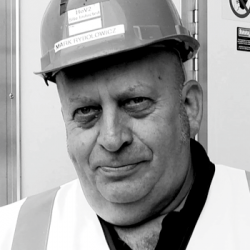 Mark is an Asbestos consultant and surveyor with a practical common sense approach and outlook allied to a very down to earth approach to both people and situations. His working environment throughout his life has in some ways shaped his character and personality and having had considerable front line experience in Environmental control both in the Asbestos Industry and from a previous career spent in Opencast Mining in South Wales, where he was heavily involved in both the planning and subsequent supervision of major multi million pound Opencast Sites. These site establishment works included Brownfield sites where the demolition of buildings, dealing with possible contaminated land issues, setting up a site infrastructure which involved the diversion of Statutory undertakers services, major civil engineering works such as road diversions, office and workshop set ups – and then once coal extraction was completed after a number of years – site restoration and remediation would take place. All of these process’s would be strictly monitored and controlled by the Environment Agency, Local Planning Authorities and other Statutory bodies not forgetting the local population who sometimes lived in close proximity to the sites and who were thus most affected by their operation.